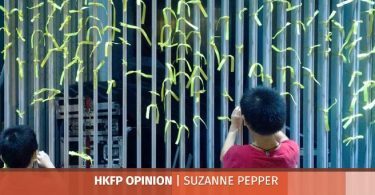 On Saturday morning, the government said that election officers rejected a candidate as she “cannot possibly comply” with electoral laws after promoting or advocating notions of self-determination: “‘Self-determination’ or changing the HKSAR system by referendum which includes the choice of independence is inconsistent with the constitutional and legal status of the HKSAR as stipulated in the Basic Law, as well as the established basic policies of the PRC regarding Hong Kong,” the government said. In a statement, the party said the decision made no reference to Chow’s speeches but pointed to their party manifesto: “This is equal to stripping the rights of all members of the group to run in elections, barring Demosisto from the legislature,” it said. Interview: Pro-democracy by-election candidate Agnes Chow: who is she and why does she want your vote? It added that the returning officer – a civil servant who oversees elections – had questioned Chow’s nationality in her bid to run, but did not ask questions about her party’s political stance. Chow gave up her British citizenship in order to be eligible to enter the race. The party also said the election officer explained that they “considered developments after the 2016 Legislative Council election” and the Basic Law interpretation issued by Beijing. Nathan Law, the party’s chair, was stripped of his title as a lawmaker because of his oath of office. 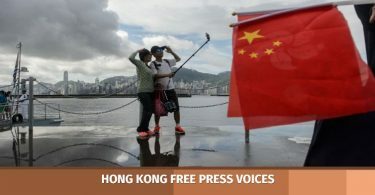 At the party’s launch in 2016, Demosisto co-founder Joshua Wong said they wished to hold a public vote on Hong Kong’s status: “Independence should be one of the options inside the self-determination referendum,” he said. The party will hold a press conference at 1:30pm. Southern District Councillor Au Nok-hin, former convener of the annual July 1 pro-democracy march organiser Civil Human Rights Front, is set to replace Chow as the democrats’ nominee. He has submitted his nomination form. We’ve just received official notice from the #HongKong government that our @chowtingagnes has been barred from standing in the upcoming LegCo by-election, on the grounds that advocating self-determination contradicts ‘One Country, Two Systems’. Maya Wang of NGO Human Rights Watch said the government had violated human rights. Agnes Chow and Joshua Wong. Photo: Demosisto. The March by-elections are taking place to replace four lawmakers ousted by courts over their oaths. Six lawmakers were disqualified by the courts in total, but two appeals filed by Lau Siu-lai and “Long Hair” Leung Kwok-hung have yet to be completed. In the 2016 legislative election, election officers barred five contenders from running because they did not accept that they would “uphold the Basic Law” – a proviso for entering the race. 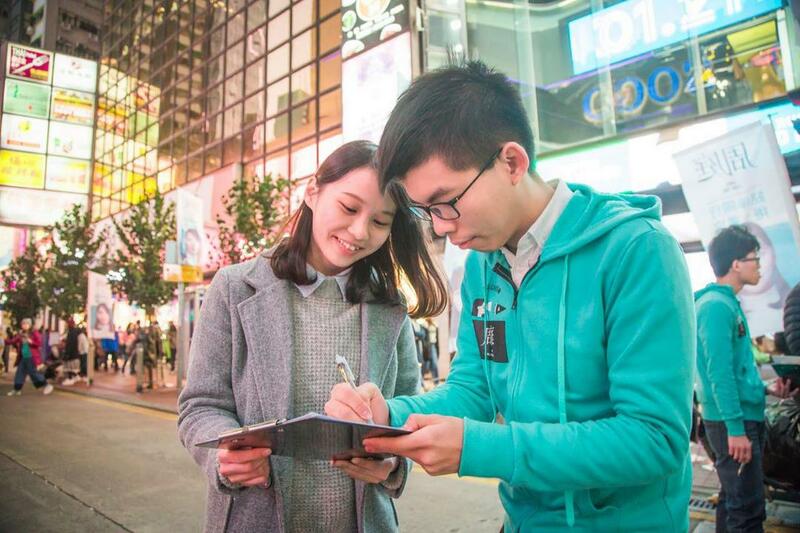 Candidates were also asked to sign pledges in which they promise to uphold the mini-constitution and pledge allegiance to the Hong Kong Special Administrative Region. 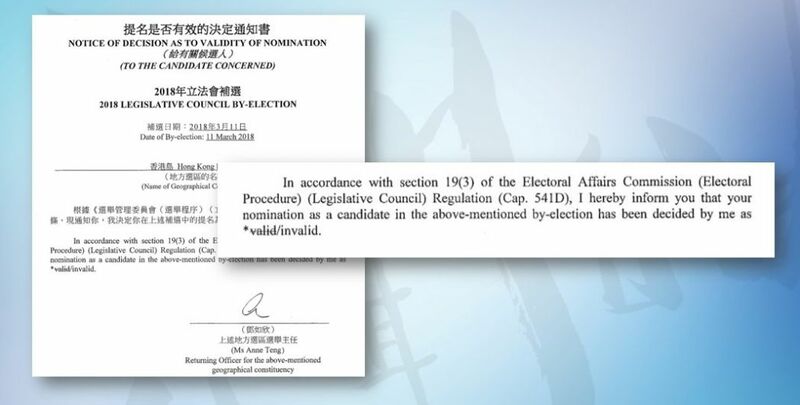 Convener of the pro-independence Hong Kong National Party Chan Ho-tin filed an election petition against the electoral officer’s apparent power to disqualify candidates after his bid was rejected in 2016. The hearing was completed last May, but the High Court has still not delivered a verdict on the matter. 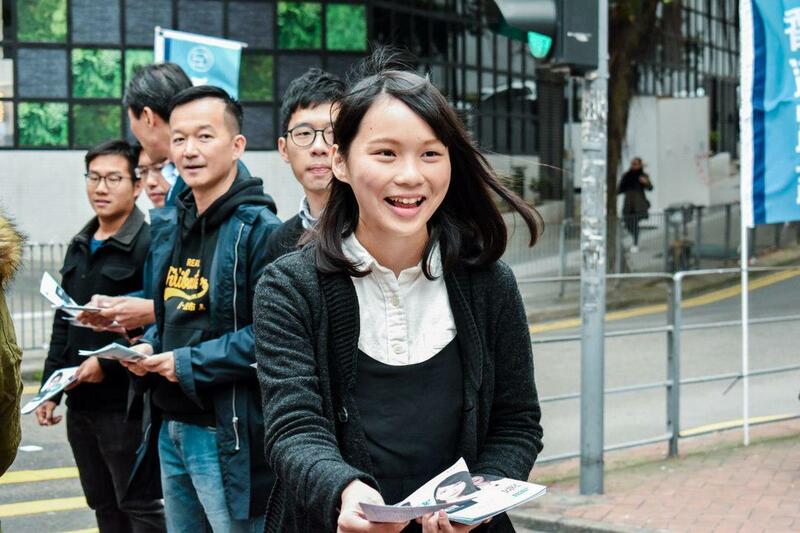 Edward Leung, then-spokesperson of localist group Hong Kong Indigenous, and advocate of Hong Kong’s return to the United Kingdom Alice Lai both also filed election petitions after they were barred from running. Demosisto will hold a protest at 5pm on Sunday at Civic Square, Admiralty.